All-Suds is a powerful hand dish wash. It has medium foam, and is particularly effective on fatty dishes. Also useful as a cost effective antibacterial spray’n’wipe. Won’t leave visible residue on modern bench and table surfaces. Squirt into sink full of water. All-Suds is a concentrated dish wash so only a small amount is required. Those with dry or sensitive skins may choose to use gloves. For use as a spray ’n’ wipe, fill an applicator bottle from clean diluted solution from sink. Spray onto surfaces and wipe with a clean cloth or paper towel. Auto-Dish is a high strength liquid detergent formulated for use in automatic dish washing and glass washing machines for optimum hygiene. It is suitable for use on glass, china stainless steel and plastic. Auto-Dish is automatically fed into commercial dish wash machines via an auto pump. Speak to a Fresh & Clean representative as to its applicability for your dishwashing. Inject undiluted solution directly into wash water at a ratio of 10-15mls per litre. Use in conjunction with FRESH & CLEAN SPARKLE rinse additive. Bathroom Plus is ready to use. Spray directly onto the surfaces, preferably with a foaming nozzle. Leave for a few minutes to interact with the soiling. Wipe off and rinse with fresh water. A brush or non-scratching nylon netting may be used with Bathroom Plus on heavily soiled surfaces. Fresh & Clean Bio-Max is a ready to use cleaner for the control of soiling around urinals. 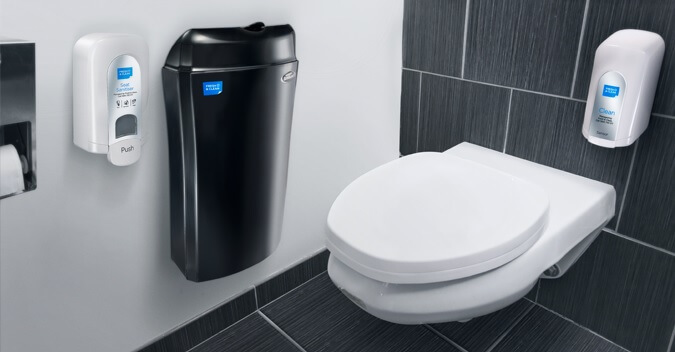 Bio-Max will effectively control build-up and mal-odours in and around urinal areas including floors, walls, and urinals. Bio-Max utilizes a unique formulation of high quality bacterial treatment and fragrance ingredients. Bio-max is particularly effective when sprayed directly onto either sealed or unsealed tile and grout areas, to remove engrained urine stains. It’s natural formulation gently penetrates to act on soiling and bacteria beneath tile and grout surfaces. Spray directly (preferably daily) onto surfaces to be treated, leave for 5-10 minutes then wipe off with a clean cloth or paper towel, or just leave. Bio-Max may be used safely on all modern surfaces, however, to ensure compatibility with the expanding variety of new surfaces it is advisable to always spot-test Bio-Max in an inconspicuous area first. Blue Bolt kills odour generating bacteria as well as being effective in controlling fungi, slime, mould and water stains. It is also excellent for cleaning urinals and stainless steel surfaces. It is septic tank safe, biodegradable, and acidic based for removing scale and lime deposits, and will significantly reduce the time required to clean toilet bowls, as compared to many non-acidic or cheaper formulated alternatives. Fresh & Clean Blue Power Concentrated Laundry Liquid is suitable for uses in all domestic and commercial washing machines. Light soiling 30-45mls per load. Medium soiling 50-65mls per load. Heavy soiling 70-100mls per load. (Standard load = 4-5lkg dry weight laundry) Do not apply directly onto fabric without diluting. Suitable for use in hot or cold water. Dilute with warm or cold water from 1:20 for heavy duty cleaning to 1:50 for light cleaning and bacterial control. Challenge can be used neat as a toilet bowl cleaner and is suitable for use through high pressure water blasters for exterior cleaning. For spray n wipe applications dilute to a 10-20% solution with fresh water, or vary to suit the application. Citrus All-Clean contains a unique blend of biodegradable surfactants and water-based solvents to deliver a highly dilutable, multipurpose product, second to none in its class. Because it is concentrated and works on a wide spectrum of soiling types it makes an ideal “one-stop” type cleaner. Always test Citrus All-Clean in an inconspicuous area first to ensure compatibility. 1:5 Spot Cleaning: Degreasing, Label Residues, Bilges, Inkmarks, Graffiti, Stoves, Tiles, Engines, Exhaust, Rust 1:10 Spray n Wiping: Blinds, Wood, Walls, Stainless Steel, Showers, Plastic, Floormats, Fibreglass, Conveyors, Chrome, Smoke Damage 1:150 Hard Surface Cleaning: Windows, Floor Mopping. Fresh & Clean Citrus Hands is a natural citrus-based heavy-duty hand cleaner designed to remove grease, ink and heavy soiling from hands. Citrus Hands contains lanolin to keep your skin in good condition. Deodorises hands and is biodegradable. Work directly onto the hands and rinse off. Repeat if required. Can use without water. Just wipe off. Fresh & Clean Citrus Power is a biodegradable cleaner/degreaser/disinfectant. It contains di-limonene, a natural solvent derived from citrus fruit skins, which gives it powerful grease and oil cutting properties. Citrus Power contains no phosphates, is non flammable and contains no caustic or acids. Citrus Power can be used for a wide range of applications including commercial, Industrial, transportation, marine and domestic. It’s free rinsing formula penetrates grease, grime and soiling from engines, tools, upholstery, concrete and plastic. As a guide Citrus Power can be diluted up to 1:50 and used as a spray and wipe type cleaner, or a stream cleaner and water blaster additive. At a 1:20 dilution it will clean and sanitise hard surfaces and inhibit growth of most common bacteria and fungi. 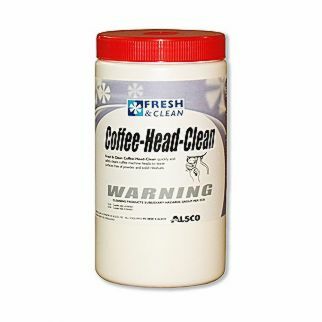 Fresh & Clean Coffee-Head-Clean rapidly penetrates regular-use coffee espresso machine soiling from the main pressure housing. It is non-caustic, non-acidic and contains no-chlorine. It is non-staining and uses a unique proprietary blend of fully biodegradable and user safe materials. Domestic Washing:120g per 4kg dry weight laundry. Commercial Washing: 240g per 10kg dry weight laundry. Greasy Overalls: 360g per 10kg dry weight laundry. Sprinkle powder onto the stained surfaces, spray or pour a small amount of warm water onto the powder for activation to occur. Agitate with a non-scouring brush or pad. Leave for 5-10 minutes then remove with a clean cloth or paper towel. It may be used safely on all modern surfaces, however, to ensure compatibility with the expanding variety of new surfaces it is advisable to always spot-test Deep Cleanse in an inconspicuous area. Disinfectant is a powerful disinfectant with a pleasant fragrance for bathrooms and toilets. Recommended for the bathroom, toilet or anywhere a highstandard of hygiene is required. Use 50-100mls per 10 litre bucket of hot or cold water for bathroom and toilet applications. Fabri-San cleans and sanitises clothes, nappies and otherfabrics. It hygienically removes stains and odours and gives clothes extra brightness. It is not suitable for use on woolens or silks. It should not be used with metal items. Fabri-San contains an oxygen bleach which is safe on dye fast coloured material. As a pre-soak use Fabri-San at a ratio of 40-80gms per 10 litres if warm water. Allow bed linen to soak for 3-4 hours before washing. Nappies can be soaked in a similar solution for 3 hours then rinsed in water and dried in direct sunlight. Fresh & Clean Fabri-Soft fabric softener brings softness to both cotton and blended fabrics. Static-cling is significantly reduced, along with reduced linting. A light fragrance remains with the fabric after drying is complete. Add 50-75mls per average laundry wash load. Place only in fabric softener dispenser or add to final rinse to avoid interaction with washing detergent. Fresh & Clean Floor Kleen is a multipurpose cleaner and sanitiser suitable on a wide variety of modern hard surfaces for cleaning, sanitizing and maintaining lusterand vitality of polished floors. Its unique formulation allows for a product which can safely be used as a maintainer-cleaner for polished surfaces without stripping or dulling. Natural oils bring back a shin to most hard surfaces. Heavy/Spot Cleaning: Mix at 1:20 (5%) solution. Either spray and wipe off or mop and wipe as required. Maintaining Mix: Mix at 1:40 (2.5%) solution for maintaining floors, walls, ceilings, showers 1:60-1:80 for polished surfaces. Spray Graffiti Gone onto graffiti and allow 30 seconds – 3 minutes to work, then either wipe off with a damp cloth, or rinse with water. If repeating process, affected area should first be dried. Graffiti Gone is neutralized by water. NOTE: In some cases Graffiti Gone may affect the base coatings. Always test on an inconspicuous area before undertaking the entire job. Graffiti Gone may delaminate synthetic surfaces. Hand Soft is a premium grade flowing hand soap providing a luxurious lather that cleans hands well, without drying or stripping hands of their natural oils. It also contains additional skin conditioning agents and anti-bacterial agents. Hand Soft is suitable for all bulk-fill dispensers and provides an exceptional cost-in-use compared to similar quality products on the NZ market. Fresh & Clean Image is ideal for commercial and domestic glass, mirrors, tiles and chrome cleaning applications. Quick drying and streak free. Retards soiling and finger printing. Use sparingly. Spray on, and wipe with a dry, clean, lint free cloth. Wipe to dry with a clean paper towel for best results. Dilute 1:20 with fresh warm water when using a squeegee blade. A powerful powdered detergent for use in dishwashers. In one operation it removes all residues (including protein) from cutlery, glassware and crockery leaving them sparkling clean. It prevents haze, water spotting and streaking. Place 20g in the machine dispenser. It can be used as a pre-soak for crockery and glassware by using 10g per litre of hot water. A powerful hand dishwash. It has medium foam, and is particularly effective on fatty dishes. The bubbles remain brilliant white throughout the wash.
Squirt into a full sink of water. Rival is a concentrated dish wash so only a small amount is required. Those with dry or sensitive skins may choose to wear gloves. Sani-Hands is a powerful hand sanitiser that evaporates to leave hands dry and sanitised without the use of a towel or air dryer. It contains moisturisers to keep hands soft and prevents drying and cracking. Sani-Hands can be used after hands have been washed or between washes on a regular basis to maintain sanitized conditions. Dispense 2-5mls directly onto hands neat and rub hands together to give an even coverage. Sani-Hands will evaporate off leaving hands sanitized and moisturized. Scale & Lime is a heavy duty phosphoric based low-foaming acid/detergent/sanitizer for removal of dissolved solids and alkaline residues from coffee, hopper and associated surfaces, coffee pots, sinks, plug holes, and many other surfaces. Scale & Lime also removes surface rusting from ferrous metals and protects against subsequent re-rusting. Dilution rates for CIP applications vary depending on soiling levels. 1% to 10% dilution rate will suit most applications. Increase dilution if required. Circulate for 15-20 minutes. Ensure all surfaces are thoroughly rinsed. For surface cleaning, dilute from a 1-20% solution depending on soiling levels. Spray or pour onto surfaces. Leave for 2 minutes, then scrub (if required) and rinse. For spray n wipe applications a 5-10% solution should suit most applications, although stronger solutions may yield faster results. Please refer to label and treat with caution. See precaution panel on label. Avoid inhalation and skin contact. Shake container well before use. Apply sparingly using a spray nozzle or pre-wet clean cloth with solution. Polish with a soft cloth before spray dries. Repeat as required. Not suitable for unsealed wood surfaces. A drying aid to reduce the drying time of machine washed dishes, crockery, glasses and utensils. Sparkle will leave surfaces dry and free of water marks and droplets. Use 2.5mls per litre or water in the final rinse or refer to separate rinse cycle machine instructions. An all-purpose antibacterial cleaner for surfaces in bathrooms and kitchens. The powerful dirt dissolving formula easily cuts through grease. Spray on surface to be cleaned and wipe off using a clean, damp cloth or sponge. For greasy areas leave on for 30 seconds to penetrate soiling before wiping. A hypochlorite based pink antibacterial powder for use in soaking or spray and wipe applications. It is stable, non-corrosive, bio-degradable, freely soluble and contains a detergent for enhanced penetration and free rinsing from surfaces. Suitable for use in all food service applications or when a cleaner/sanitizer is required. Not recommended for sanitizing aluminum surfaces as dulling may occur. Rinse Method: 3g to 1 litre of water, pump or allow to flow through. Spray Method: 6-12g to 1 litre of water, spray all surfaces thoroughly. Soak Method: 6g to 1 litre of water, soak cutlery for a minimum of 2 minutes. Not recommended for sanitizing aluminum as dulling may occur. Surface Sheen is a special blend of highly concentrated cleaning agents, using natural citrus-skin solvents, as a base for spot cleaning a multitude of surfaces and soiling types. Surface Sheen is particularly good on oil marks, rubber heel marks, graffiti and sticky-label residue removal and stainless steel finishing and polishing. Surface Sheen is flammable, and should there fore be treated carefully, used preferably with a solvent-resistant spray head. Always test Surface Sheen in a inconspicuous area first to ensure compatibility. Use undiluted. Spray directly on via a spray head. Wipe with a clean cloth or paper towel. Leave for several minutes before wiping, for heavy soiling. Always test in a small areas first to establish compatibility. Always dilute Triple X with water. Never use on wool or silk. Dilutions: Laundry: 1:20 Kitchen/Bathroom: 1:50 Outdoors: 1:1 (to kill moss, mould and mildew) Not recommended for use on coloured or sensitive garments as streaking, fading or other deterioration could result. Urinal Tabs are blocks of perfumed crystal for use primarily in urinals as a deodoriser and bactericide. Also suitable for areas harboring unpleasant odours. May also help control pests and vermin in janitorial areas. Distribute tabs into urinals or place in a container near noxious odour. Placed in cupboards Urinal Tabs will repel silver fish, moths and other insects. Working Hands is a non-abrasive-based medium to heavy duty hand cleaner suitable for a widerange of hand cleaning applications where a stronger than-usual flowing hand soap formulation is required. Contains lanolin and other moisturizing agents to keep skin in great condition. Working Hands is biodegradable and user safe when used as directed. Work directly onto the hands and rinse off with fresh water. Repeat if required.